This 3-piece Federal Bikes "Vice" BMX Crank has a very stable 24mm CrMo 48 spline hollow crank spindle which provides more stability compared to conventional 19mm CrMo crank spindles at almost the same weight. 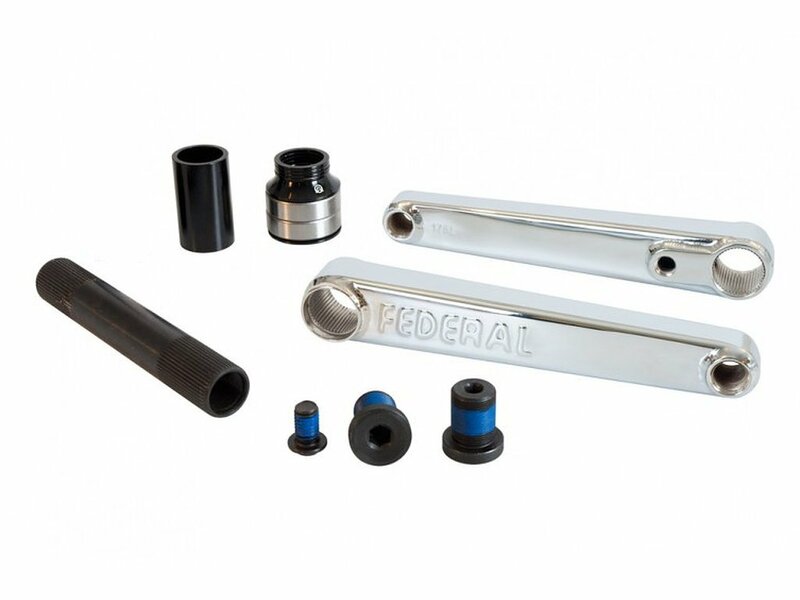 The crank arms of the Federal Bikes "Vice" BMX Crank have a rectangular shape with rounded edges and the areas of the spindle and the pedal hole are fully welded around to ensure maximum strength. This very high quality crank set is equipped with sprocket holes on both crank arms and a complete Mid BB set is included.